Carl Jung says that the paradox is one of our most valuable spiritual possessions. So it makes sense that this episode is both difficult and simple—the paradox of life, as always. Our emotional landscapes, who we are inside, and all of our feelings — they matter. But in the business culture and work life today, feelings are often ignored, undervalued, or actively suppressed. 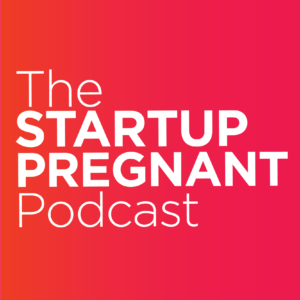 Here at Startup Pregnant, we believe in the call for a greater emotional dexterity. We believe that it’s important for each of us to experience our emotions. Not just experience them, but feel them, name them, and work with the entire range of emotions that we’re given. To us, this means that you’re allowed to be your whole self. All of you is welcome here. Does this mean we act on every emotion? Not necessarily. But we feel them first, because feelings are important, and they have a lot to teach us. And in the world of business, which boasts of companies that solve customer pain points for a living, wouldn’t it make sense to start to tap into this vital range of understanding? Listen in above for the conversation about this core value: Feelings Matter.